It became necessary to take plenty of breaks. Usually this is a sign of a not very captivating book, but with Bette Greene’s Summer of My German Soldier, it was imperative not to read too much in one go, and not because I wanted the book to last longer, either. It was ‘just’ too strong stuff. I needed to brace myself, somehow. I’d already forgotten that that is what Lucy Mangan says in her Bookworm memoir; ‘when I reread it now, I have to put it down every few pages and walk around for a bit to let it all bed down before I am ready for the next chapter.’ Because it was on her recommendation that I bought a second hand copy of the book. And if I only have one of her favourites, this has to be the one. 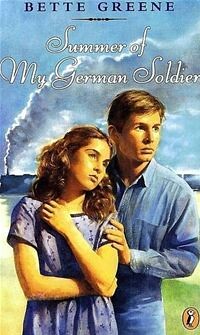 Rarely have I come across anything quite like this WWII story about a 12-year-old Jewish girl in Arkansas, who ends up sheltering an escaped German soldier. Patty is an unusual girl, not loved by her family, but very intelligent, except perhaps when it comes to understanding when not to say some things. Beaten often by her father, it’s hardly surprising she laps up the kindness and politeness Anton Reiker has to offer. They have intellectual conversations and Patty learns about his home in Göttingen. You know this can’t end well, and it doesn’t. But this must be the best really bad ending to a children’s novel I’ve ever read. Whether I could have coped with reading it in my early teens is another question entirely. Probably not, would be my guess. Written thirty years after it’s set, I don’t know if Bette describes the American south correctly, but it does feel like it. German soldiers were obviously bad. So were Jews, and also all black people, whose job it was to clean and cook for everyone else. There is unexpected goodness in places, but otherwise this is harsh. If it was difficult to read for any length of time, then it is harder still to work out what to read next. 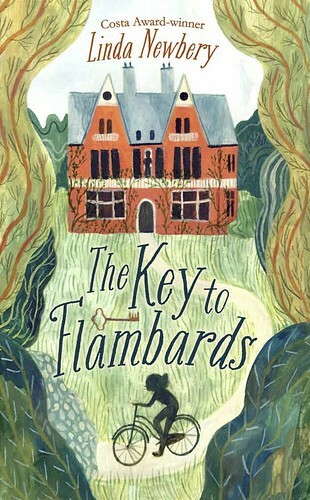 I sensed that Hilary McKay was most probably going to be this year’s winner of the children’s Costa award. But I didn’t want to say so, since it’s so hard to deny things in a believable way if cornered. How right that judge is. And Hilary was up against some good ones, so it’s never easy predicting. Or for that matter – I imagine – to judge. 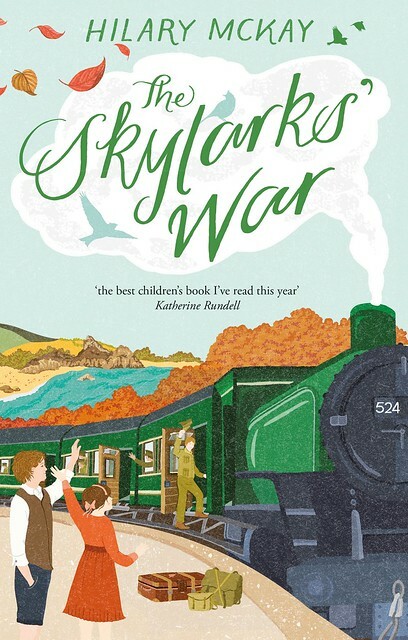 Yippee for Hilary and her Skylarks! 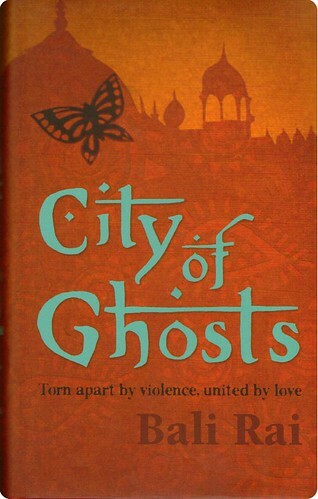 This novel by Lucy Strange, about the outbreak of WWII, was more painful to read than I’d expected. Or, indeed, felt before. It also made me harbour quite unpleasant thoughts about Mr Churchill. 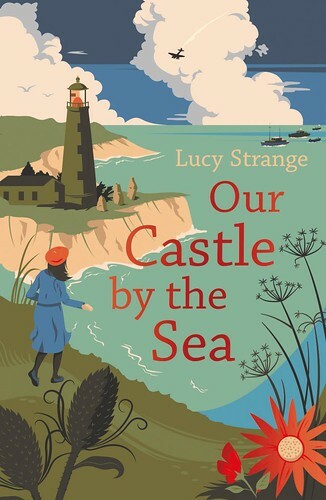 12-year-old Petra and her older sister Magda live in a Kent coast lighthouse, with their lighthouse-keeper father, and their German mother. Yes, German. Never popular with local people, it seems the outbreak of war freed up any inhibitions they may have had about what you can say and do towards the wrong kind of foreigner. The children are also tainted by their semi-foreignness and life becomes quite hard for the whole family. This is more than a war time story, however, and veers more towards crime fiction as the story grows. It’s fascinating; no question about that. But you read it with your heart in your throat, thinking about what internment might have meant. Or treason. And then there is the case of evacuating children. But it’s the lack of human warmth from some of the people you perhaps thought were friends and neighbours that really got to me. And more so, what it reminded me of.